For many parents, it’s not clear how to create a positive experience with technology for their children. On one side, there are countless studies which showcase the numerous risks that children are exposed to when spending too much time in front of the screen. However, even now we already see that in the job market IT experts are one of the most sought-after professions and studies have shown that this trend is only going to become more pronounced in the future. Technology is already a fundamental part of our little one’s daily life, which serves not only for their entertainment but also helps them learn new skills, expand their knowledge base about various subjects, helps them find information more effectively and enables them to have numerous conversations. 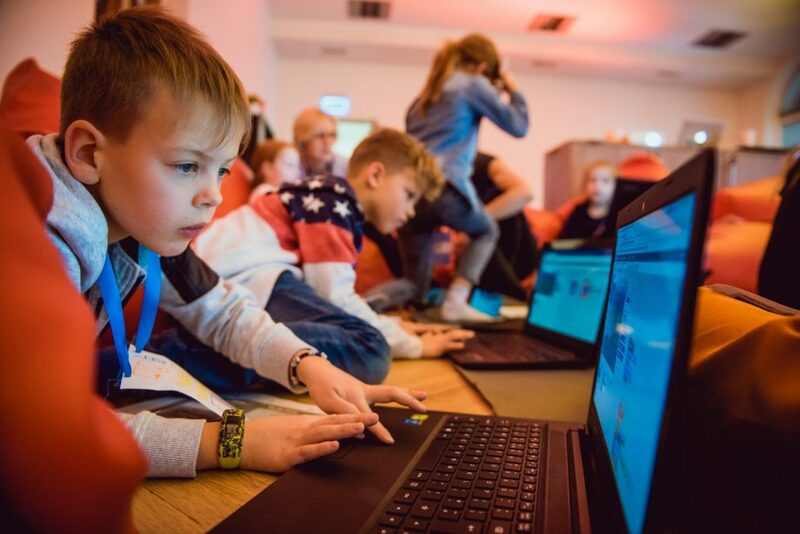 Before we all gather at TechChill, we asked the Learn IT Co-founder Linda Sinka about the role of technology in children’s lives, and the benefits that it brings. “Overall, children show huge interest in tech. Their abilities to operate with touchscreens are impressive. If you will give children the chance to solve classwork, or any other schoolwork for that matter, with the help of tech they will be excited. If in the study process tech would be integrated much more broadly, say, in different study subjects, children would have more motivation to study and as such the results would be better. To encourage children to choose IT as their specialty, it’s important to create this interest at a young age. High school might be too late because stereotypes about how complicated IT is are already formed and they get scared,” emphasized Learn IT C0- founder Linda Sinka. What’s the benefit of technology for children? By learning the basics of programming, students improve their logic and algorithmic thinking, creativity, and cooperation. Thanks to modern programming environments, students can learn to make interactive stories, games, animations, web-pages, mobile apps, and other programs. Even if the child doesn’t choose IT as a profession, the skills they learn will be transferable to other topics of interest. Here, the same principle applies as taking your kid to sports practices, music school or art school; by taking part in these activities, you don’t immediately assume that the child will become a professional athlete, musician or artist. Instead, all of these activities develop a new skillset and help the child understand what they enjoy and would like to learn in the future at a higher level. What is the best approach to teach programming to children? What kind of tech do you use in the process? Mostly the lessons take place in front of a computer where the children learn different programming environments. Additionally, to showcase the possibilities of programming outside a computer and to broaden their skill set, there are lessons where kids can work with programmable electronics and robots. This year Learn IT has a new program “Electronics and 3D printing” for the older children. In this program, students can work on their own meaningful projects and gain practical knowledge of 3D modeling and develop their ideas on an Arduino microcontroller. What do children say about it? How to inspire them? Children are already ready to learn about technologies in preschool. They want to explore, they are not afraid to make mistakes and, when they don’t understand something, they ask for help. No matter what kind of tech it is, be it a driving robot, or a small mobile game that they can give to their parents to play through, children are excited about tech. A proper programming environment can only motivate them to explore modern technologies on their own. Experience shows that even in preschool children are creative and can generate ideas and find technological solutions. 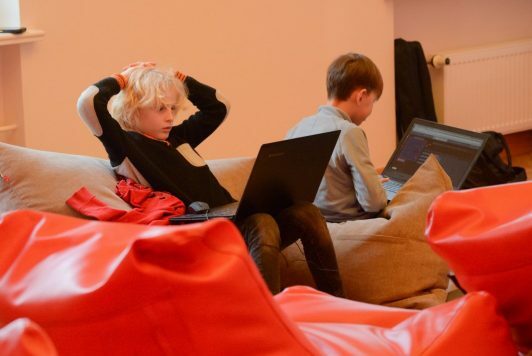 One year ago, we organized a hackathon and the ideas were very different – a program that wakes up a snoring dad, a game with the goal of training reaction speed, or a program that helps children socialize. During the event, the participating children were very appreciative of the opportunity to realize their own ideas. What’s the international experience, data, statistics? International experience shows that an increasing number of schools are changing to digital learning platforms. This is especially true in science subjects where with the help of online learning environments, children are presented various different tasks and with the help of tech, they can identify problem-questions faster. If 10 years ago computer-related subjects (IT) taught from 5th grade, then today, in most of the schools, IT is taught from the 1st grade, even in Latvia. An increasing number of schools are starting in inquire about the newest technologies – robots, 3D printers, and virtual reality classes. For example, in the United Kingdom, with the help of virtual reality, kids learn about volcanoes and their classification. Already next week around 2000 participants from all around the world will come together at TechChill. For the second year in a row, with the goal of making tech conferences more welcoming to parents and to support the tech education of children, there will be the Future Founders Playground. It will not only be a relaxing area for new parents but also a playground for the little ones with regular workshops for preschool and elementary school age children which will be lead by experts from our friends Learn IT, RoboHUB and Virtual VR. 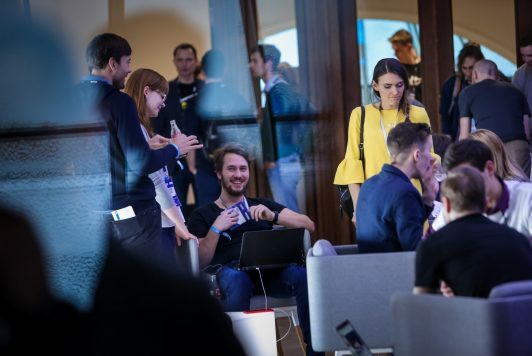 All parents with a valid TechChill 2019 pass are welcome to use the facilities at Future Founders playground and sign up for workshops. In the free workshops, children will be able to learn the basics of programming and robotics, become familiar with Virtual reality (VR) and try out various new gadgets and innovations. Kids under the age of 12 can attend the event for free if accompanied by an adult or a guardian with a valid ticket on hand. Read more about it here.